Our signature dish, eight hours in the making. Pappardelle with beef shin ragu. A British take on Italian cooking by our very own, Tim Siadatan. The Trullo Cookbook is about serious cooking, but with a simple, laid-back approach. 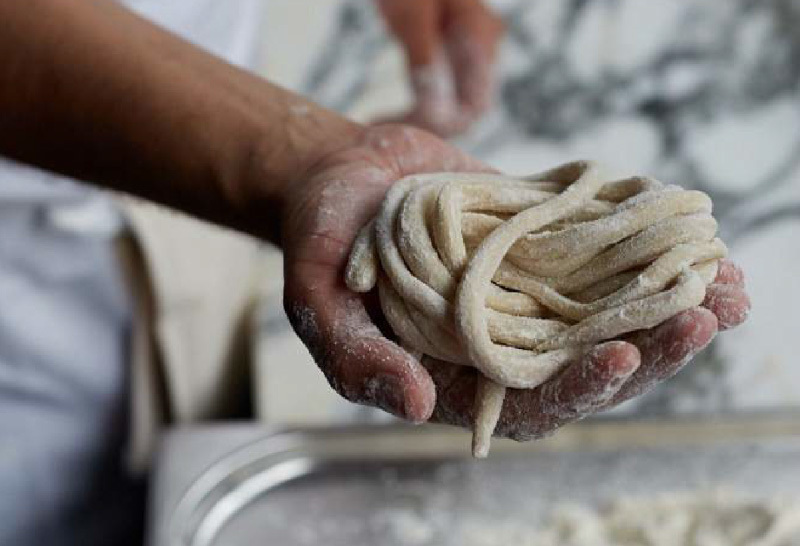 From creative antipasti and knockout feasts to the bold pasta dishes that inspired Trullo’s sister restaurant Padella. This is food that brings people together. 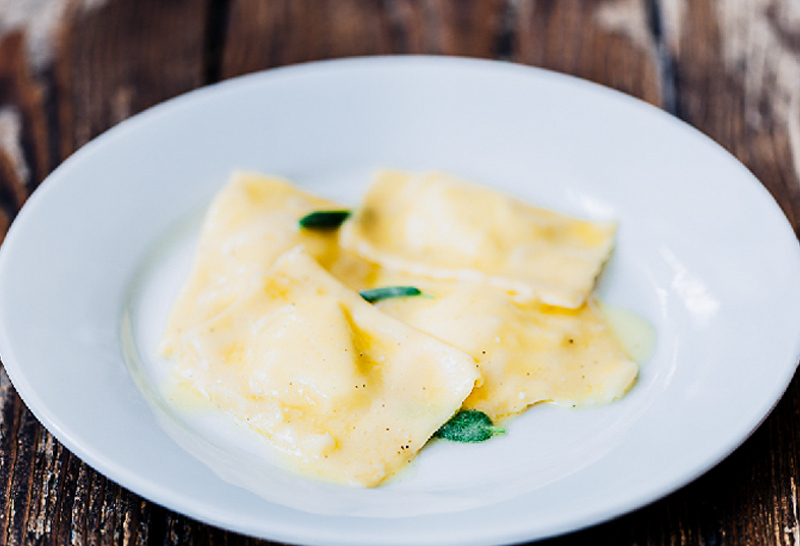 Trullo opened in June 2010, and offers a simple, seasonally focused, Italian inspired menu that changes daily. Fresh hand-made pasta and our charcoal grill are the counterpoints of the menu at Trullo, the pasta rolled minutes before service, and the fish and meat cooked over burning coals. 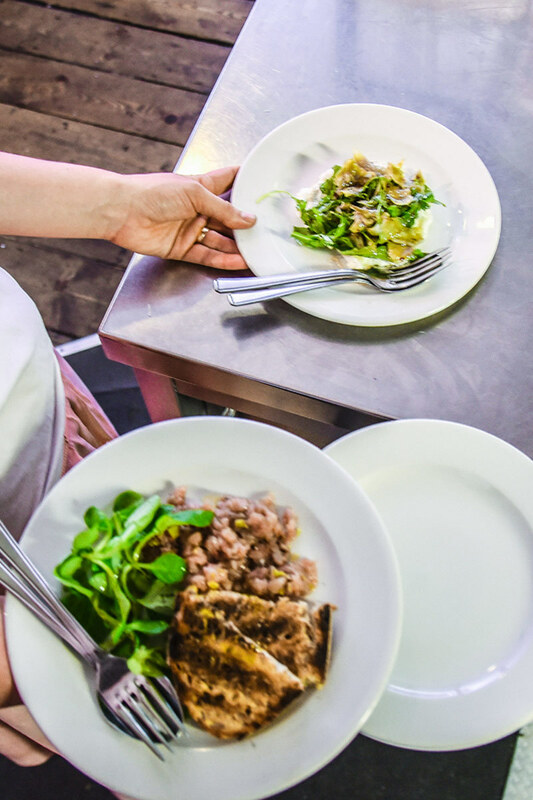 At Trullo, we care about the importance of cooking according to the seasons, being sustainable, using amazing produce and really understanding where that produce comes from. We care about food in the same way as our producers do, and that definitely translates both onto the plate and into the warm, buzzing energy of the restaurant.